SARAH: I made little videos as a kid with my brother and sister, but I went to college and studied filmmaking at NYU, and that was really my first foray into being a director. SARAH: Phillip Guttmann, my writing and producing partner, who is also a social worker, interned for an organization called Footsteps in Brooklyn, NY. Their mission is to support people in the Hasidic community who are questioning whether to continue leading a religious life or begin a secular one. Phillip worked with several people who were in similar situations as Shmuel, and those experiences helped inspire Black Hat. SARAH: I think one of our biggest challenges was trying to be authentic to the Hasidic world with our small budget. This is not a world that I am familiar with really at all, except from a distance, from seeing Hasidic people on the street. This is also why the film starts with images of various Hasidic people from a distance on the street, and then as we get into the synagogue we try to take you more deeply into their world. Phillip (co-producer and writer) as well as Yaniv Rokah (producer) are both Jewish and much more familiar with the ultra-orthodox community, its customs and the language. But they are also not Hasidic, so we did seek out a consultant that Phillip knew, named Chaim Levin, who is gay and formerly Hasidic, and is intimately familiar with that world. He was incredibly helpful. Also, Yaniv brought in a cantor named Nicholas Hylander who knew all the prayers and was familiar with the nuances in the prayers between the different sects of Judaism, and he also lent his incredible voice to the film. That was a tremendous gift. But ultimately, a lot of the details on the set that happened in the moment I would have missed if Phillip and Yaniv had not been there. Any authenticity to the film in that regard is really due to them. SARAH: I think learning more about a culture I was only tangentially familiar with was one of the more rewarding experiences of making the film. I just learned quite a lot of about the details and the customs, and I found it interesting and humanizing. Also, working with the crew and the cast. Everybody really brought themselves 100% and gave everything they had. From Loriel Samaras, my producing partner, who is an incredibly creative problem solver, to Jeff Tomcho and his crew, to Mira Tal-hershkovitz who did the makeup, to our lead actor Adam Silver, you can’t make a film like this without that kind of support and commitment on every level. And they didn’t do it for money, they did it because they believed in the project, and that ultimately is a testament to Phillip’s script. How did you find incorporating religion into the story? SARAH: It was important to me that we see the complexity in Shmuel’s struggle with who he is as a gay man and his religion, and through his religion, his relationship to G-d. It was also important to me that we not demonize the Hasidic religious beliefs, that we highlight Shmuel’s struggle, but try not to cast blame for his struggle. SARAH: Through Shmuel’s story we aspire to raise the notion that these often mysterious and misunderstood religious individuals, typically only seen by the outside world on street covered by hats and sheitels, are perhaps more complex - more like us - than we previously imagined. We all, to some extent struggle with our identity, and I think this is something anyone can identify with and ultimately, my hope is we foster empathy and understanding. SARAH: I feel very much still aspiring myself, but I’d tell other women in my position to just keep making films, keep building your portfolio. It’s the only way to get better, and it’s the only way to prove you can do this work. SARAH: Next up, Phillip has written a feature in that also takes place in the Hasidic world, and I’m also hoping to direct a short action film that is a metaphor for pay equality, and also working on a short film about Martha Mitchell and the Watergate Scandal. 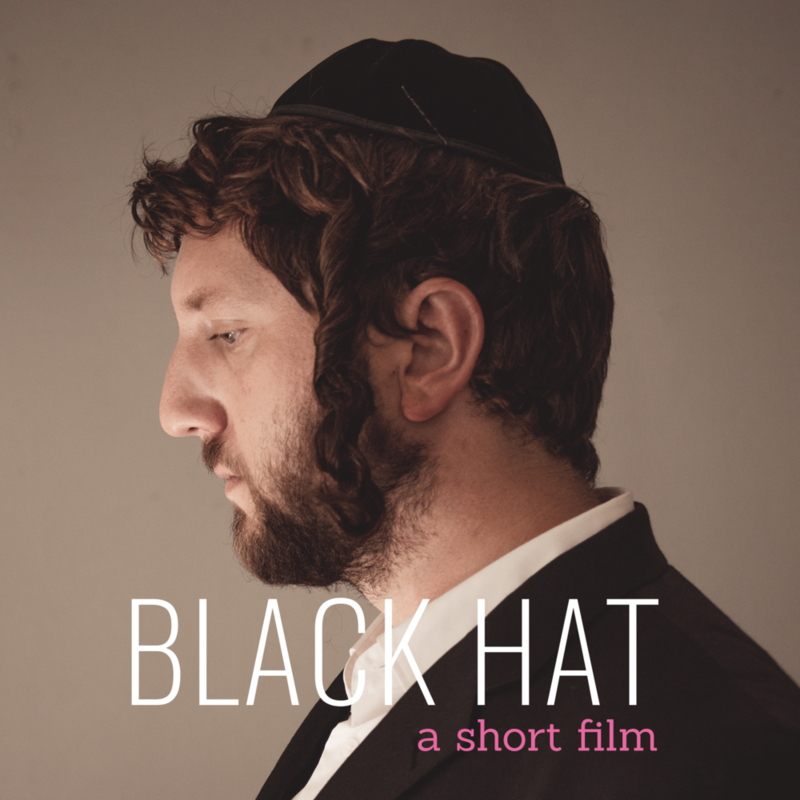 Black Hat will be showing in the THE TIME IS NOW shorts collection on Sat 23 March. For tickets and information please visit here. You can view the trailer below along with links to the film makers social media platforms.